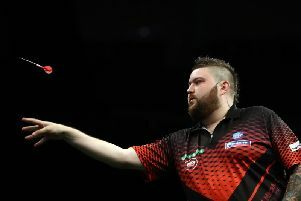 Michael Smith has often been tipped as a world champion in waiting by his peers. This is reflected by the St Helens ace of the oche being fourth favourite to lift the £2,5 million William Hill World Darts Championship which will be staged at the Alexandra Palace, London, from December 13-January 1. The 28-year-old Smith - a former World Youth Champion and runner-up in last year's Premier League - is quoted at 14-1. World no. 1 Michael van Gerwen is the 11/8 favourite with the sponsors, while back-to-back winner Gary Anderson is quoted as 3/1 second favourite. World number three Peter Wright is 11/1 to win a first world crown, with defending champion Rob Cross a 20/1 shot. Dave Chisnall (66/1), Stephen Bunting (125/1) and Alan Tabern (1,000/1) will also be carrying the St Helens flag. William Hill's wide range of odds for the 96-strong tournament includes markets on the nationality of the eventual champion, odds on the number of nine-dart finishes and 170 checkouts which may be achieved, as well as match odds. "The standard is going through the roof and I can't wait.